QuickTime X, also commonly referred to as QuickTime 10, came on the scene with the introduction of OS X Snow Leopard. QuickTime X represented a leap in the version numbering, jumping from 7.x, which had been around since 2005. QuickTime is both a media player, able to handle video, pictures (including panoramic), QuickTime VR (a virtual reality format), and audio, and basic multimedia capture and editing app. It probably sees the most use as a video player, allowing Mac users to view various video formats, including movies made on iOS devices or downloaded from various video sites. QuickTime X offers a more streamlined interface than QuickTime 7.x and much more robust performance. It also has the advantage of combining some of the features of the old QuickTime Pro package; specifically, the ability to edit and export QuickTime files. As a result, QuickTime X lets you capture video from any cam attached to your Mac, perform basic editing functions, and export the results in a number of formats that can be used by your Mac or iOS devices. While Apple gave us some nice new features, it also took something away. 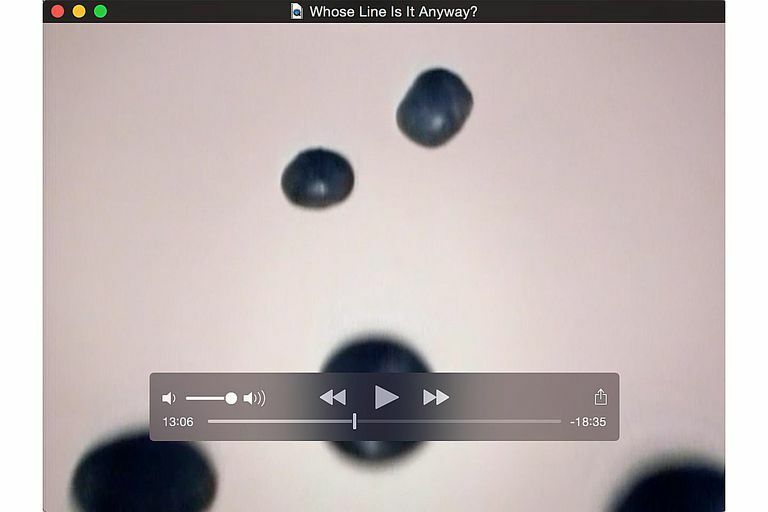 If you were a heavy user of the earlier version of QuickTime Player, you may have relied on QuickTime to automatically start playing (Autoplay) whenever you opened or launched a QuickTime file. The Autoplay feature is especially important if you use your Mac and QuickTime in a home entertainment environment. The new version of QuickTime lacks this handy feature, but you can add the Autoplay functionality back to QuickTime X using Terminal. Type or copy/paste the following command into the Terminal window. There is only one line of text above. Depending on the size of your browser’s window, the line could be wrapping and appearing as more than one line. An easy way to copy/paste the command is to triple-click on one of the words in the command line. If you later decide you’d rather return QuickTime X to its default behavior of not automatically starting to play a QuickTime file when you open or launch it, you can do so by once again using the Terminal application. Enter the following command into the Terminal window. You can use the triple-click trick to avoid having to type the entire line. Although QuickTime X has been included with every version of OS X since Snow Leopard, Apple has kept QuickTime Player 7 up to date (at least through OS X Yosemite) for those of us who have a need for some of the older multimedia formats, including QTVR and Interactive QuickTime Movies. You may also need QuickTime 7 for more advanced editing and export functions than are available in QuickTime X. QuickTime 7 can still be used with QuickTime Pro registration codes (still available for purchase from Apple's website). Before purchasing QuickTime Pro, we recommend that you download the free QuickTime 7 Player to ensure it still works with the version of OS X you have installed on your Mac. The latest version we've tried it with is OS X Yosemite. QuickTime Player 7 can work alongside QuickTime X, although for some reason, Apple chose to install QuickTime Player 7 in the Utilities folder of the Applications directory (/Applications/Utilities).